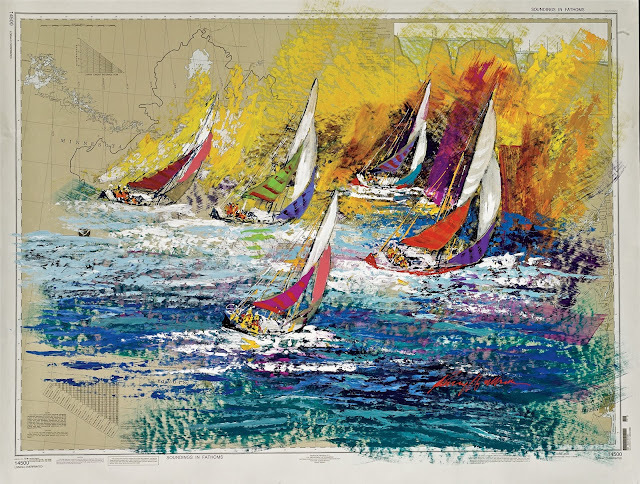 The inspiring true story of legendary sailor, Mike Plant, the “Saltwater Cowboy” (Sailing World) who completed three solo circumnavigations and set the American record for the fastest lap of the planet. His adventurous spirit and colorful past make Plant “as close as yachting gets to a James Dean character” (The New York Times) with a universal story about daring to dream. 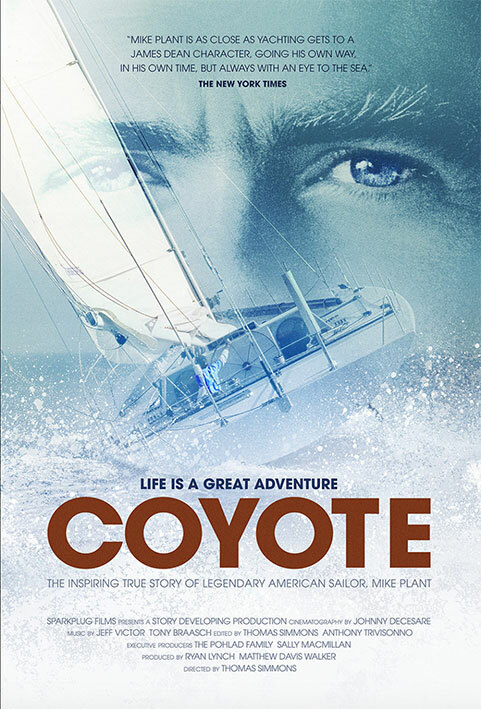 Spanning the decade from Mike Plant’s arrival in professional offshore sailing in the mid 80’s, Coyote follows Plant’s daring spirit as he challenges both Mother Nature – around the world alone on a sailboat – and French dominance in the sport. Chronically underfunded and undermanned, Plant’s thirst for adventure and fearless belief in his dreams drive him to become an American hero of the sea. His blue eyes and boyish good looks make it hard to consider Plant’s life before competitive sailing included a solo trek of South America, an escape from Greek authorities on a drug trafficking charge and time behind bars in a Portuguese prison. Yet, these exploits and others reveal the type of restless soul willing to conquer the world’s oceans alone. Despite all that he accomplishes, Plant’s heart is never satisfied. His final creation, Coyote, a radically designed vessel built on the edge of speed and safety, symbolizes Plant’s course in life: running before the wind, always with an eye to the sea. 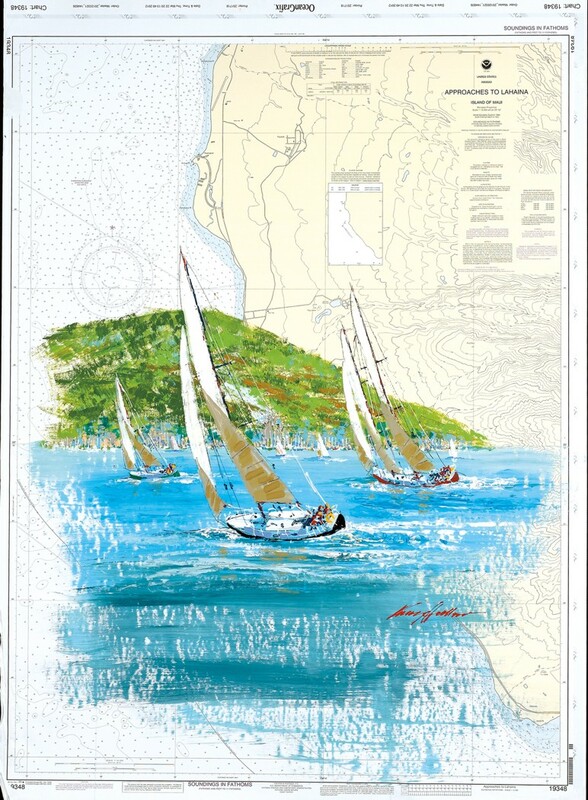 Director Thomas Simmons says: “When I was seven years old I watched my uncle, Mike Plant, sail into Newport, Rhode Island after 157 days at sea. Family and friends gathered aboard an old tug to watch him win the 1986-87 BOC Challenge, a singlehanded sailboat race around the world. 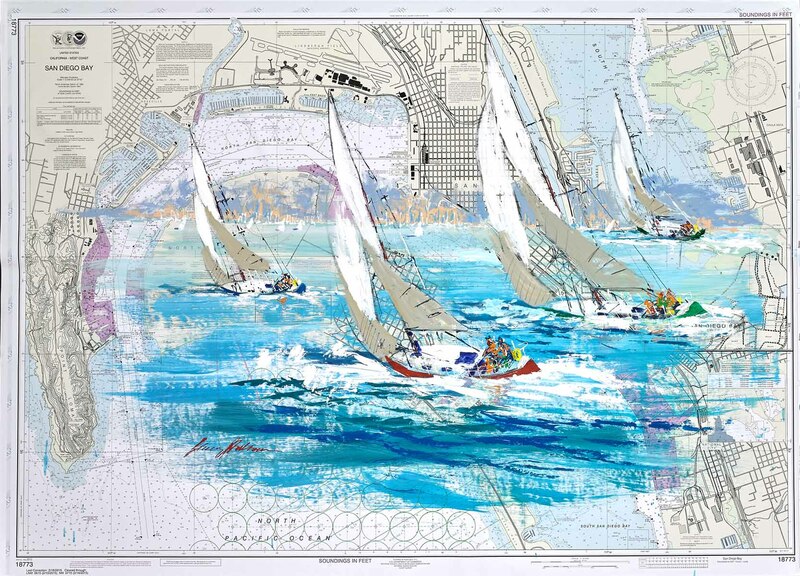 He became my hero – and a hero in the eyes of many, especially those close to the American sailing community. Today, I recognize that Mike was an ordinary person doing extraordinary things. His story proves that we can all be dreamers of the day… that it’s never too late to find your calling and chase something that you believe in“. A lot happened on the Antarctic Peninsula under the cloak of the 2017 polar night—most notably, the calving of a massive iceberg from the Larsen C ice shelf. At the time (July), scientists had to rely on thermal imagery and radar data to observe the break and to watch the subsequent motion of the ice. By August, scientists started getting their first sunlit views of the new iceberg, which the U.S. National Ice Center named A-68. An animation of the progress of A-68A and A-68B, since they emerged from polar night. After initially rocking back and forth in the cavity it formed at the end of Larsen C, A-68 has since drifted away from the ice shelf, with the gap in between being filled with mélange - smaller chunks of ice that broke off from the edges of A-68A and the face of the ice shelf, mixed with sea ice that slipped in as the larger iceberg moved farther out. The Moderate Resolution Imaging Spectroradiometer (MODIS) on NASA’s Terra satellite captured a wide view of the berg on September 11. A few days later, on September 16, the Operational Land Imager (OLI) and the Thermal Infrared Sensor (TIRS) on Landsat 8 captured these detailed images. 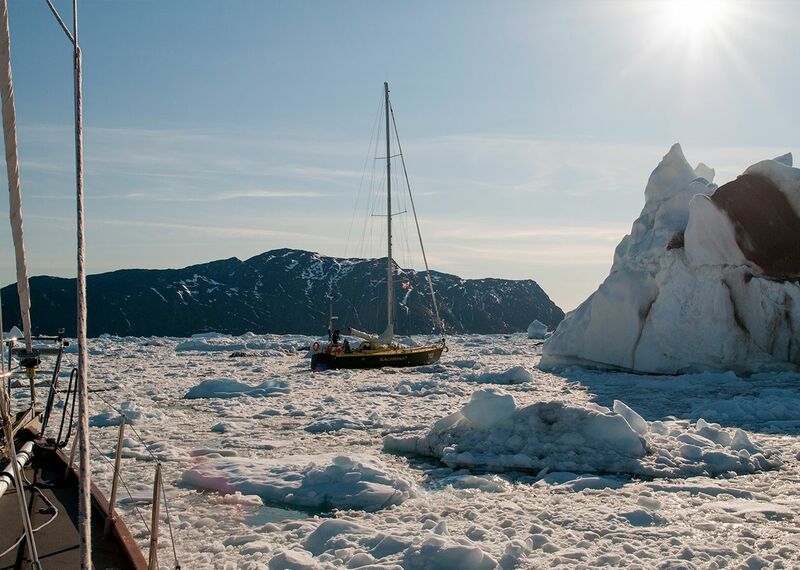 The image on the left shows the icebergs in natural color. The rifts on the main berg and ice shelf stand out, while clouds on the east side cast a shadow on the berg. The thermal image on the right shows the same area in false-color. Note that the clouds over the ice shelf do not show up as well in the thermal image because they are about the same temperature as the shelf. 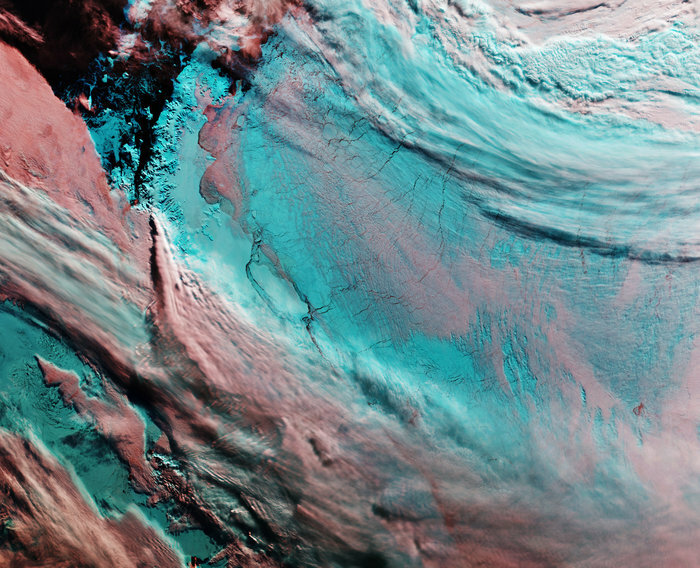 Thermal imagery has the advantage of showing where the colder ice ends and “warm” water of the Weddell Sea begins. It also indicates differences in the thickness of ice types. For example, the mélange is thicker (has a colder signal) than the frazil ice, but thinner (warmer signal) than the shelf and icebergs. 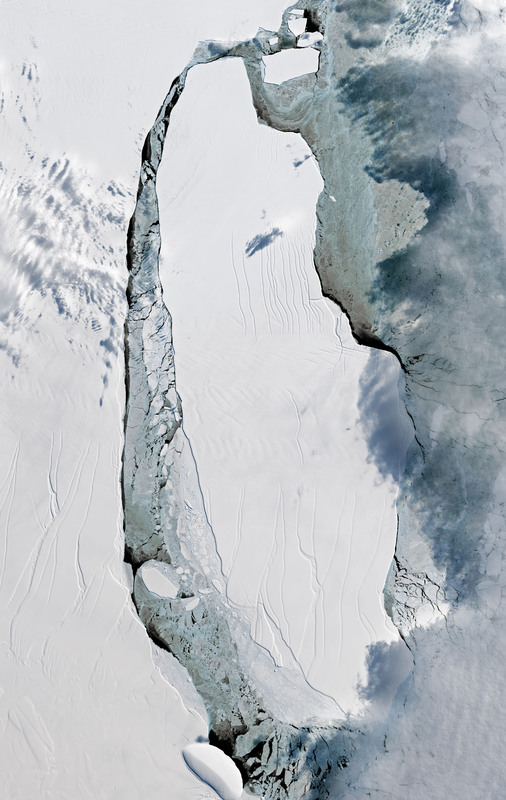 The Copernicus Sentinel-3A satellite takes us over the Antarctic Peninsula and the adjacent Larsen Ice Shelf, from which a massive iceberg broke off in July. The image has been manipulated, so clouds appear pink while snow and ice are blue to help us differentiate between them. The only land clearly visible is the tip of the Peninsula in the upper left, while sea ice covers the Weddell Sea to the right. Captured on 25 September, the image shows the iceberg near the centre. 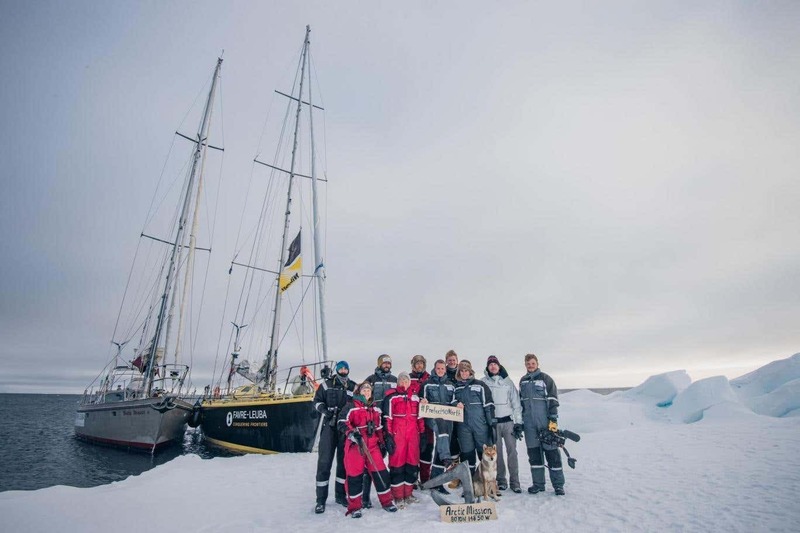 The A68 berg had been jostling back and forth against the ice shelf, but more recent satellite imagery revealed that the gap between the berg and the shelf is widening – possibly drifting out to sea. An iceberg’s progress is difficult to predict. It may remain in the area for decades, but if it breaks up, parts may drift north into warmer waters. Since the ice shelf is already floating, this giant iceberg does not influence sea level. 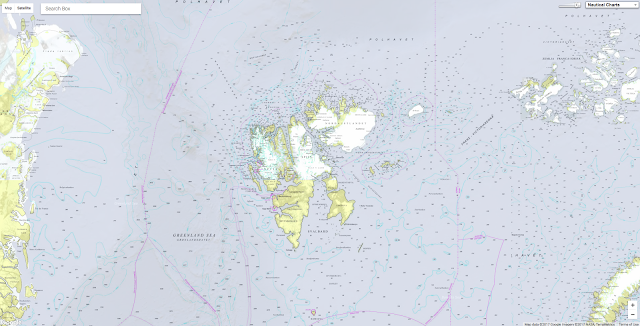 A68 is about twice the size of Luxembourg and with its calving has changed the outline of the Antarctic Peninsula forever – about 10% of the area of the Larsen C Ice Shelf has been removed. The loss of such a large piece is of interest because ice shelves along the peninsula play an important role in ‘buttressing’ glaciers that feed ice seawards, effectively slowing their flow. 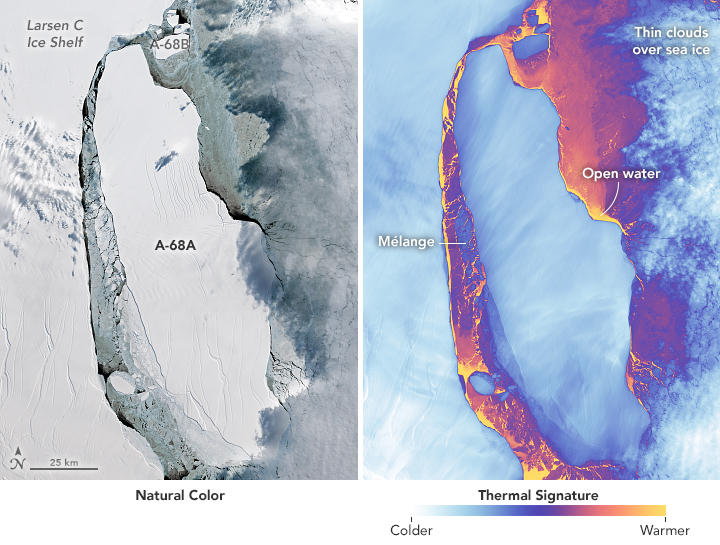 Previous events further north on the Larsen A and B shelves, captured by ESA’s ERS and Envisat satellites, indicate the flow of glaciers behind can accelerate when a large portion of an ice shelf is lost, contributing to sea-level rise. 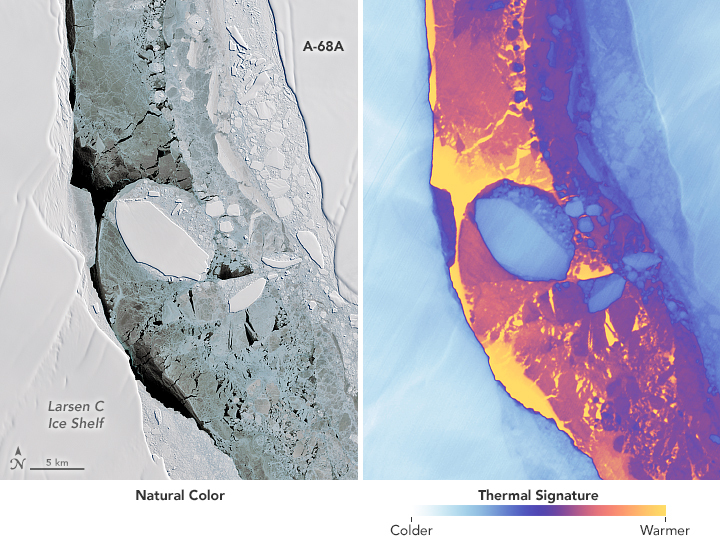 Both images show a thin layer of frazil ice, which does not offer much resistance as winds, tides, and currents try to move the massive iceberg away from the Larsen C ice shelf. In a few weeks of observations, scientists have seen the passage widen between the main iceberg and the front of the shelf. This slow widening comes after an initial back-and-forth movement in July broke the main berg into two large pieces, which the U.S. National Ice Center named A-68A and A-68B. The collisions also produced a handful of pieces too small to be named. The primary reason for A-68 drifting away from Larsen C is apparently winds blowing off the ice shelf, which forced sea ice farther into the Welland Sea, opening up an area for A-68 to move into. The motion of the iceberg, after this, will depend on how the sea ice moves and melts as the south polar region progresses into spring. One unnamed iceberg, shown in detail above, has been drifting northward in the passage since the break. Notice how the edges of this piece appear much sharper than the edges of the shelf or A-68A. Those edges have already been rounded by blowing snow and gravity, but the smaller piece has been battered and reshaped by recent collisions, resulting in its highly defined edges. BigThink : Wait a Minute, How Big is that Iceberg? The U.S. Navy has created its first ever dedicated underwater drone unit, Unmanned Undersea Vehicle Squadron One, or UUVRON 1, splitting it off from a secretive submarine unit in the process. The decision highlights the steadily growing importance of unmanned craft within the service, which hopes to have dedicated operational unmanned undersea elements by the end of the decade, and across the U.S. military in general. The Navy formally activated UUVRON 1 at a ceremony at the Naval Undersea Warfare Center in Keyport, Washington. At the same time, the new organization replaced a smaller detachment that had been part of Submarine Development Squadron Five (DEVRON 5). This unit still contains a variety of unique elements, including the USS Jimmy Carter spy sub, which recently returned from a shadowy, but apparently successful mission, as well as the Detachment Undersea Research and Development, which has been associated with those covert activities in the past. “Today we are transitioning our UUV detachment into the first UUV squadron,” U.S.
Navy Captain Robert Gaucher, the outgoing head of DEVRON 5 said during the event. The previous Detachment Unmanned Undersea Vehicles was already a relatively young unit. It only received its first underwater drone, a torpedo shaped vehicle known as a Large Training Vehicle 38, in August 2014. USN The Large Training Vehicle 38. “This is certainly a key milestone,” U.S. Navy Lieutenant Brian Nuss, then the officer in charge of the detachment, said at the time. The implication here would be that, at least for a period, the Navy planned for UUVRON 1 to reach its full operational capability at some point in 2020. It is possible that the service may be able to get the squadron fully up and running sooner, depending on how the state of the training pipeline to staff the necessary slots and what additional equipment it needs to acquire. Another possibility is that UUVRON 1 will continue to focus on research and development and test evaluation, while the Navy works to establish operational unmanned undersea units. It could be those organizations that the service expects to be ready to go by 2020. Whatever the case, the capability is important and it’s a long time coming. By 2020, the Navy will have spent two decades working on achieving the broad goals outlined in its unmanned undersea vehicle master plans. USN Sailors prepare to deploy a King Fish counter-mine drone. The service published the first of these white papers in 2000 and issued a new version in 2004. Seven years later, Seapower Magazine reported there was another updated document, but that it was classified. “We actually have action plans on all the missions we are trying to achieve,” U.S. Navy Rear Admiral Matthew Klunder, then the director of intelligence, surveillance and reconnaissance capabilities within the Navy’s Information Dominance unit, told Seapower about the new plan. It “covers every spectrum,” from a military missions, such as mine hunting and surveillance, to humanitarian assistance and research roles. It’s very likely that some of all of the missions in the 2011 roadmap were the same or similar to the nearly a dozen roles outlined in the 2004 document, which is publicly available. Some of these were intelligence gathering, time critical strike, anti-mine warfare, anti-submarine warfare, communication relaying, and force protection against enemy special operations forces and combat divers and terrorists. In addition, the Navy said it could be possible that a final unmanned undersea vehicle design could be modular, able to carry a number of payloads, including expendable weapons or remote sensors, depending on the needs of the mission. In a speech on Feb. 3, 2016, and in line with the so-called “Third Offset” strategy to stay technologically ahead of potential enemies, then Secretary of Defense Secretary Ashton Carter said the U.S. military as a whole would be investing $600 million in a variety of unmanned undersea systems. It’s “a new capability you’ll be seeing a lot more of” and would be part of larger plans for “making our ships and aircraft work together in ways that they haven’t before but technology makes possible,” he told sailors during the event in San Diego, California. This suggested a significant increase over the Navy’s budgeting at the time. In the fiscal year 2016 budget proposal, the service asked for just shy of $5 million for various undersea drone projects, less than five percent of the annual expenditure Carter was suggesting. At present, the majority of the Navy’s existing underwater drones fall into one of two categories, either being focused on mine hunting or employed in oceanographic mapping and research roles. In a bizarre episode in December 2016, members of China’s People’s Liberation Army Navy (PLAN) snatched one of the latter vehicles, commonly known as gliders, out of the water in the South China Sea, before unceremoniously returning it days later. Underwater glider research is currently underway in the physics department at the naval postgraduate in Monterey Ca. Dr. Kevin Smith is a specialist in underwater acoustics and sonar systems. He and his team are currently focused on autonomous underwater gliders and developing systems capable of detecting parameters in the ocean and listening for various sources of sound. The benefits in both of these cases are relatively clear cut. 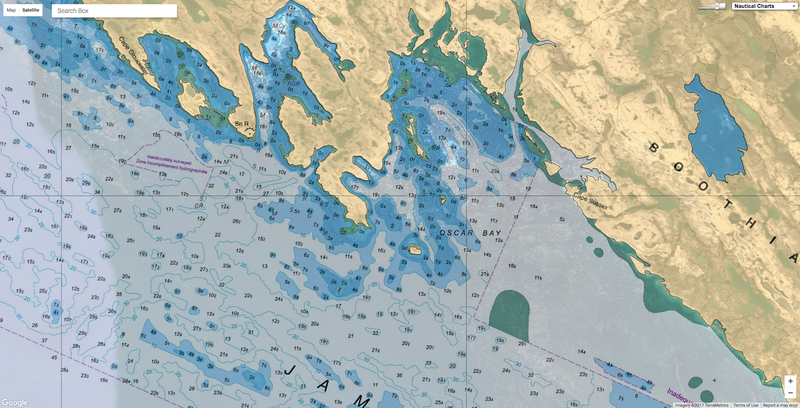 Gliders can help gather information about the ocean and sea floor faster and cheaper than sailing a large research vessel along the same routes. It is possible that they may be able to get into areas that would be too shallow or narrow for a larger ship, as well. They are far more persistent than a manned vessel as well, allowing for collection of data over a far larger timeframe. When it comes to mines, on land or at sea, using a remote sensor of some kind to identify an object help keeps personnel away from danger. A drone can move in very close to an object to examine it with relatively little risk and possibly disarm it without having to send out a specialized team. All of this helps commanders maneuver safely through potentially contested and congested waterways. Naval mines, including improvised ones that non-state actors are crafting, are a serious threat to both commercial shipping and naval vessels. USN Sailors release a Swordfish mine-hunting underwater drone. At the same time, the Navy is working on a so-called Large Displacement Unmanned Undersea Vehicle (LDUUV), as part of a program known as Snakehead. Detachment Unmanned Undersea Vehicles’s Large Training Vehicle 38 had been a surrogate for this vehicle, the first prototypes of which are expected to be in the water by 2019, according to USNI News. Not surprisingly, UUVRON 1 is slated to receive the first experimental LDUUV. There are also future plans for extra large systems that could operate as either a remote controlled or autonomous mini-submarine or even have the ability to be optionally manned if need be. In 2015, a team of Huntington Ingalls Underwater Solutions Group, Bluefin Robotics, and Battelle demonstrated on such vehicle Proteus. The next year, Boeing showed off the huge Echo Voyager, claiming it could operation underwater for up to six months. There's no real definitive idea of what these vehicles might look like in the end, those most of the notional concepts are shaped like little subs. In 2014, though, the U.S. Navy showed off a underwater drone that looked and moved like a shark. The GhostSwimmer vehicle developed by the Chief of Naval Operations' Rapid Innovation Cell (CRIC) project Silent NEMO undergoes testing during an event at Joint Expeditionary Base Little Creek - Fort Story. 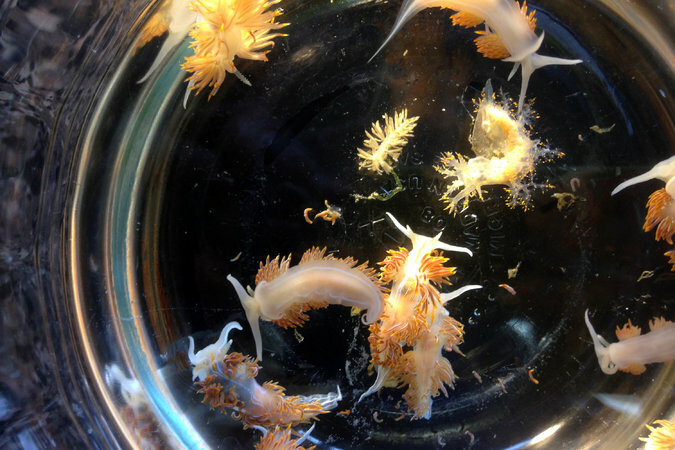 Project Silent NEMO is an experiment to explore the possible uses for a biomimetic device developed by the Office of Naval Research. As of earlier in 2017, the Office of Naval Research was working on an unmanned flying craft that could hit the water and then turn into a subsurface vehicle, though purely as a proof of concept. A number of private companies are also working on similar convertible water craft that are both manned and unmanned. Whatever it looks like, the Navy’s initial goal for the final Snakehead is a design that can conduct a variety of intelligence, surveillance, and reconnaissance functions. This could include gathering intelligence on enemy ships or facilities ashore, patrolling waterways for items of interest, or gathering information about a body of water, beach, or other landing side ahead of an attack naval or amphibious operation. Again, the benefit of a using a drone for these functions it that it offers a lower cost and reduced risk option, especially when attempting to gather information about heavily defended or otherwise restricted areas. With regards to unmanned undersea vehicles, it also reduces the burden on larger submarines, allowing them to focus on higher priority missions that requirement their more expansive intelligence gathering and weapon systems. The option to use a unmanned vehicle for these jobs will likely only become more important in the coming years, as well. 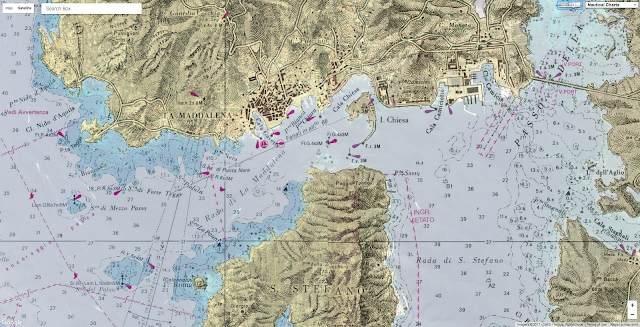 Though we at The War Zone more often talk about concepts such as “anti-access and area denial” in terms of integrated air defense networks, many of the U.S. military’s potential opponents are exploring similar arrangements at sea. In May 2017, the People's Liberation Army Navy (PLAN) said it was beginning construction of an expansive sensor net in the South China Sea for “environmental” purposes. Of course, these nodes could just as easily end up configured to keep watch for submarines and in a conflict, it would be especially useful to be able to find the exact locations of the nodes and attempt to size up their capabilities without risking detection in a manned boat in the process. The Navy takes a trip under the sea to test its newly developed Common Control System (CCS) with a submersible unmanned vehicle at the Naval Undersea Warfare Center Keyport in Puget Sound, Washington. Learn how data collected from this series of successful underwater missions will help operators eliminate redundant efforts and reduce cost when operating unmanned vehicles in sea, land or air. Further versions of Snakehead could carry actual weapons or electronic warfare payloads, to disable underwater sensors and mines or attack other undersea vessels, surface ships, or targets on land, depending on the final configuration. Though not mentioned specifically, it is possible that multiple LDUUVs could operate as a single swarm to confuse, distract, or overwhelm enemy defenses, or operate in combination with small underwater drones for that purpose. Networked together and connected to manned submarines, surface ships, or even aircraft, one or more of these unmanned underwater craft could just extend the situational awareness for the whole group along a broad front. “I can think of so many missions that unmanned systems can help out,” U.S. Navy Rear Admiral Robert Girrier, then Director of Unmanned Warfare Systems within the Navy’s top Unmanned Systems Office, said during a talk at the Center for Strategic and International Studies in February 2016. Citing a desire for unmanned systems to be more of an integral part of operations in general, U.S. Navy Rear Admiral Mike Manazir, then Deputy Chief of Naval Operations for Warfare Systems, shut down the office, also known as N99, in January 2017. Exactly what sort of systems and tactics will work or not is likely to be UUVRON 1’s primary concern regardless of whether it is considered an operational or trials unit. If the Navy sticks to its existing plans, we should start seeing some clues about what conclusions they’ve arrived at in the next few years. On a routine passage from Florida to Puerto Rico, a cargo ship sails into the heart of a hurricane. With the discovery of its black-box recording, we re-create the ship’s final 26 hours and the decisions that sealed its fate. It started as a dip of low pressure over the Atlantic that gathered a loose circle of sluggish wind. Ruffled, the summer-warmed sea released more moisture as vapor and the pressure went down a bit further. The wind picked up, driving big waves and unleashing more moisture and heat. During the next few days, this chain reaction turned into an atmospheric buzz saw that spanned hundreds of miles: Hurricane Joaquin. CNN's Martin Savidge details El Faro's journey as the doomed container ship ventured toward Hurricane Joaquin. Sep. 29, 8:10 p.m.: Left Jacksonville Port. Three hours before El Faro departed, the National Hurricane Center's 5 p.m. advisory expected Joaquin to become a hurricane within 24 hours. Sep. 29, 11:06 p.m.: Three hours after El Faro departed, the NHC's 11 p.m. advisory said that Joaquin is expected to become a hurricane in the next 12 hours. Sep. 30, 6:16 a.m.: Begins to veer slightly south from usual course. Travelling at 20.0 knots, near its top speed. Sep. 30, 2:13 p.m.: Passing northern Bahamas, about 25 miles south of its usual course at 19.9 knots. Sep. 30, 9:09 p.m.: El Faro continues to veer south west from normal course, now very close to the Bahamas. Oct. 1, 2:09 a.m.: Slowing to 16.9 knots, the ship is about 90 miles south of its usual course. El Faro is now in the direct path of the storm. Oct. 1, 3:56 a.m.: Last known location logged. The ship is believed to have sunk after being caught in Joaquin's ferocious winds and high seas. 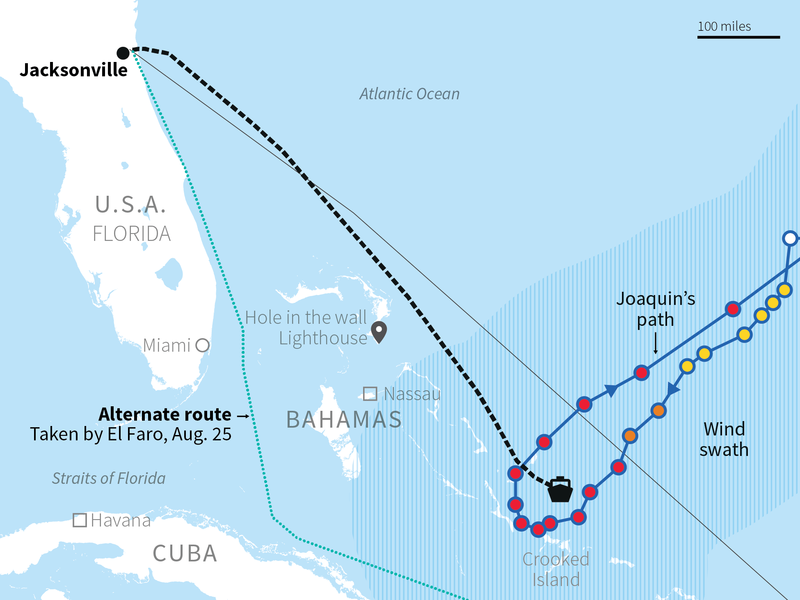 Alternate route: In August, El Faro used another route which would have avoided Joaquin's path. It is unclear why the ship did not take the other route this time. As the Category 4 storm bore down on the Bahamas with winds peaking at 140 miles an hour, people evacuated and vessels raced for safety. But one ship did not. 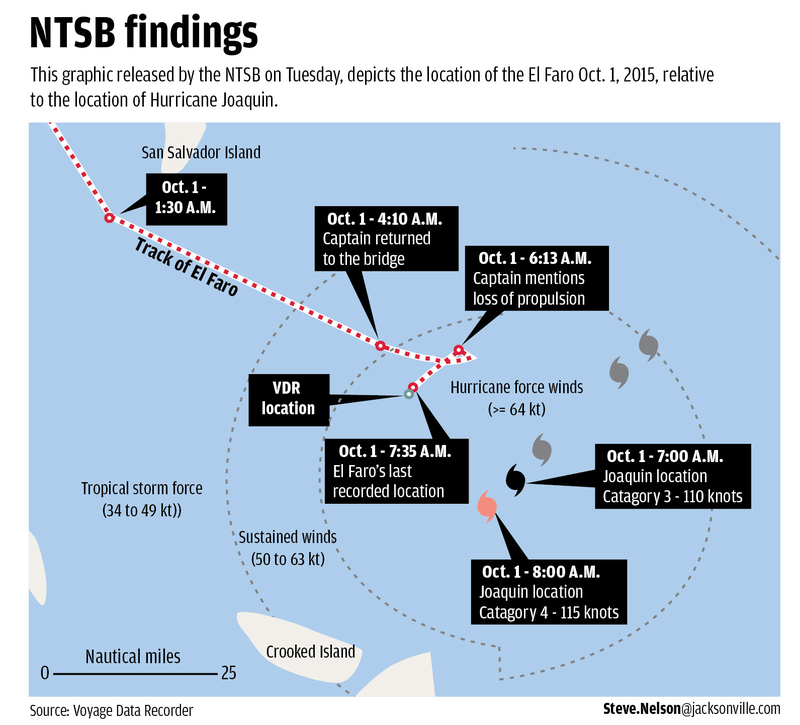 On October 1, 2015, the SS El Faro — a cargo carrier whose veteran 33-member crew enjoyed modern navigation and weather technology — sailed into the raging heart of the storm. Everyone aboard perished in what ranks as the worst U.S.
maritime disaster in three decades. Investigators from the National Transportation Safety Board (NTSB) were left to grapple with a seemingly unanswerable question: Why? The U.S. National Transportation Safety Board released undersea footage showing the wreck of the cargo ship El Faro, which sank during Hurricane Joaquin in early October, 2015. 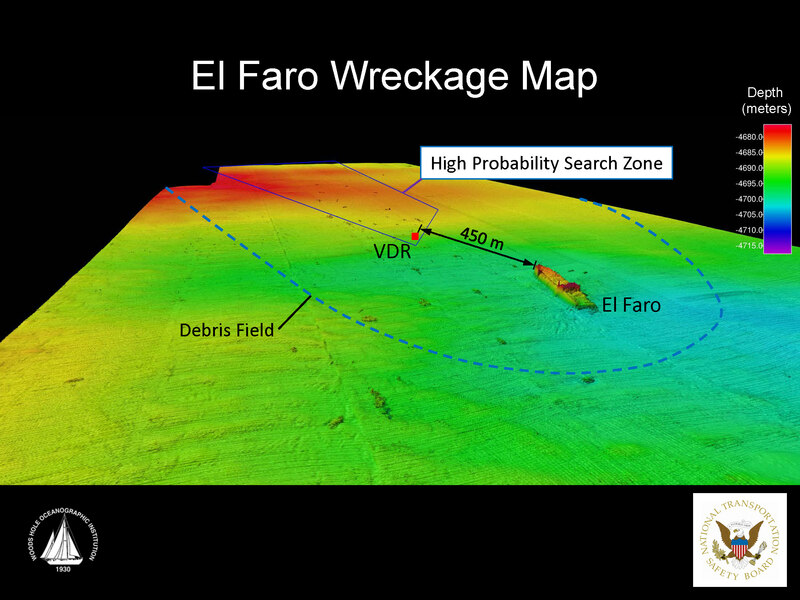 Video documentation of the El Faro wreckage and associated debris field from the CURV-21 remotely operated vehicle. The NTSB launched one of the most comprehensive inquiries in its 50-year history, interviewing dozens of experts and colleagues, friends, and family members of the crew. Then, last August, came the crucial discovery: A robot submersible retrieved El Faro’s voyage data recorder from the three-mile-deep seabed. The black box contained everything that was said on the ship’s bridge, right up to its final moments afloat. The transcript reveals a narrative that unfolds in almost cinematic detail, with foreshadowing, tension, courage, and hubris. Like most tragedies, no one factor brought on the disaster — but human error was chief among the problems. This is the answer to the riddle of El Faro’s baffling final path, in the words of the crew members themselves. As the recording begins, El Faro — Spanish for “the lighthouse” — is 150 nautical miles southeast of Jacksonville, Florida, steaming toward San Juan, Puerto Rico. In the predawn darkness, the ship’s captain, 53-year-old Michael Davidson, pores over navigational charts with 51-year-old chief mate Steve Shultz. El Faro shuttles the weeklong route back and forth between Jacksonville and Puerto Rico roughly four times a month, as regular as a commuter train, carrying cars and containers filled with groceries, clothing, electronics, and other consumer goods. Today, though, there’s a hiccup. Tropical Storm Joaquin, which has just been upgraded to a Category 1 hurricane. The ship can expect 45-mile-an-hour winds and 12 to 15-foot swells — a rough ride even for the 790-foot El Faro. 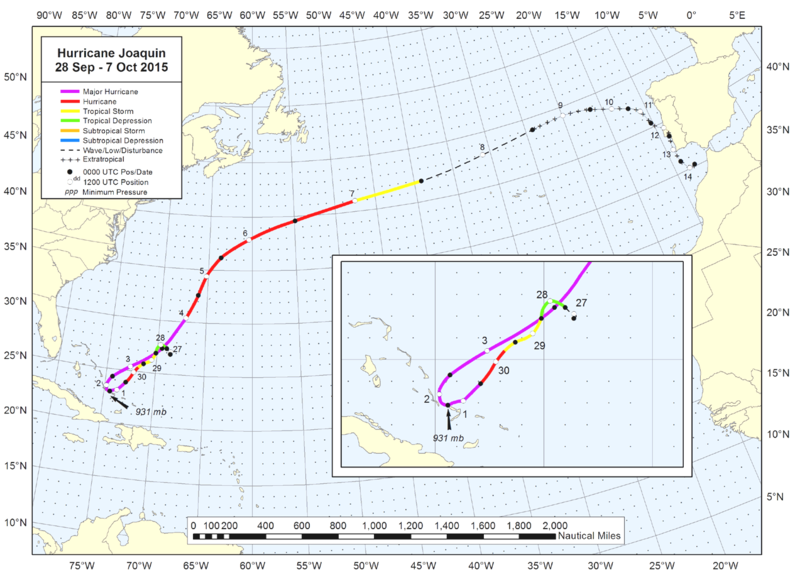 Hurricane Joaquin is 200 miles northeast of the Bahamas and currently on a course straight for the islands — and El Faro’s track line — but the forecast predicts the storm will soon curve to the northwest. If they angle their course slightly south, Davidson reasons, they’ll scoot through a gap between the islands and the storm. This would be only a 10-mile diversion, a distance that means the trip will take just 30 minutes longer and burn a negligible amount of extra fuel. Still, the decision doesn’t seem to sit well with Davidson. A 20-year veteran of the U.S. Merchant Marine, he had applied for a transfer to a newer ship with TOTE Maritime, El Faro’s shipping company. He may have thought that even a minute amount of extra expense wouldn’t help his cause. “We’re not that much off course,” Davidson says, as if to reassure himself. “It’s a good little diversion. That option is a more southerly route called the Old Bahama Channel, which would require the ship to turn 90 degrees to the right, sail 200 miles south, then turn east, and sail along the northern coast of Cuba, sheltered by the islands of the Bahamas. The ride would be much smoother, but the trip to San Juan would be 160 miles longer — six hours’ sailing time and about $5,000 in extra fuel. “It doesn’t warrant it,” Davidson says. 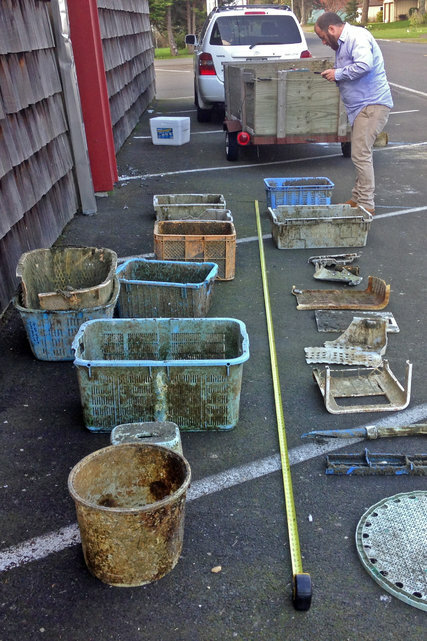 Davidson had endured plenty of rough water, including a decade running oil tankers from the legendarily stormy Gulf of Alaska to the West Coast. He noted one particular voyage across the Atlantic in the transcript: “We had a gust registered at 102 knots. “It should be fine,” Davidson says, then corrects himself. “We are gonna be fine, not should be. To the east, the sky is growing bright. “Oh, look at that red sky over there. ‘Red in the morning, sailors take warning,’ ” Davidson says, quoting the old seafarers’ saw. The morning opens into a fine tropical day, blue skies with temperatures in the high 80s. But the swell has started to build with the energy of Joaquin, still some 300 miles away. At noon, 34-year-old second mate Danielle Randolph begins her shift on the bridge. Randolph is a popular member of the crew, an extrovert with a passion for pumpkin-spice coffee and a penchant for singing along with the radio. By now the ship is approaching the first of the Bahamian islands, Little Abaco. Third mate Jeremie Riehm tells Randolph about the slightly altered course that Davidson has laid out. As second mate, Randolph is responsible for the ship’s navigation. She makes clear that she doesn’t think the captain is taking Joaquin seriously enough. “He’s telling everybody down there, ‘Oh, it’s not a bad storm — it’s not even that windy out. I’ve seen worse,’ ” she tells Riehm. Even the amended route El Faro is on exposes it to the risk of getting trapped between the storm and the shallow waters of the Bahamas. “It’s nothing — it’s nothing!” Randolph says, quoting Davidson. “I think he’s trying to play it down because he realizes we shouldn’t have come this way. “I think now it’s not a matter of speed. By the time chief mate Shultz returns for his 4 PM to 8 PM shift, the ocean swell has increased to eight feet, the crests whipped into whitecaps by the stiffening wind. The deck crew has tightened the lashings that hold El Faro’s 391 containers in place on the deck and scoured the ship to make sure everything has been secured. El Faro’s sister ship, El Yunque, is 33 miles abeam, heading in the opposite direction toward Jacksonville. Shultz calls on the radio for a chat. El Yunque’s chief mate tells him that they put on speed to outrace Joaquin but still got beat up pretty bad. At one point, they recorded gusts of more than 100 miles an hour. 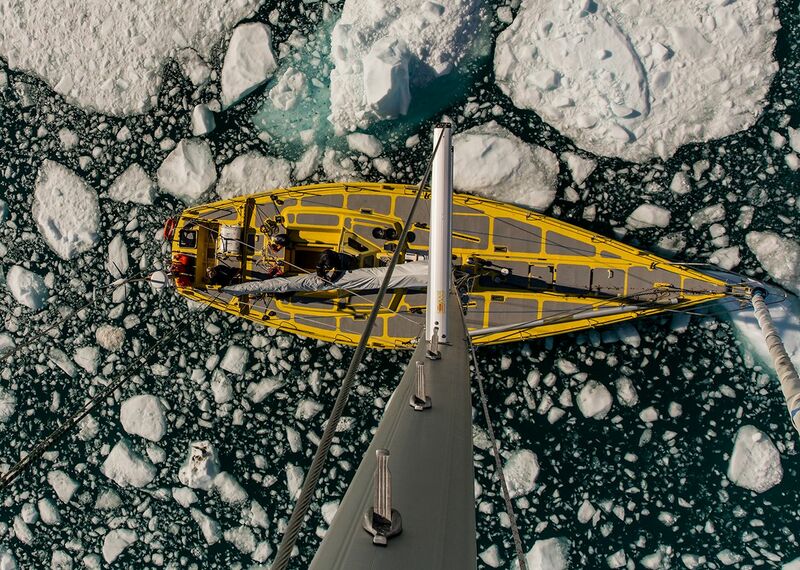 “You are going the wrong way,” the chief mate says. “Oh, no, no, no,” says Davidson. As twilight settles, Davidson comes up from his office to find Shultz standing watch. “I just sent you the latest weather,” Davidson tells him. Four times a day, the captain receives a forecast from a private meteorological service he subscribes to called Bon Voyage System (BVS). Its colorful graphics, with areas of severe weather in yellow and dangerous weather in red, are easy to understand, and Davidson relies on the reports exclusively, ignoring the hurricane alerts and National Weather Service (NWS) updates that are printed out and posted on the bridge, and are the standards most captains use. What Davidson doesn’t know is that the BVS forecasts are up to 21 hours out-of-date, and their estimate of Joaquin’s location is off by as much as 500 miles. The free NWS reports are timelier and more accurate. But by now, even the BVS forecast has grown ominous. It shows the storm continuing on its southern course toward the Bahamas and El Faro. Davidson plots a new course that will take them around San Salvador Island, which, according to the BVS chart, will provide shelter and limit the size of the swells. However, the three officers have been watching more accurate forecasts and have a much clearer idea of what’s in store. All three tell Davidson they’re concerned about the ship’s course, but the captain is unfazed. Davidson leaves the bridge at 8 PM, just after third mate Riehm relieves Shultz. “I will definitely be up for the better part of your watch,” Davidson tells Riehm. He heads to his stateroom for the night. As the night drags on, the weather gets progressively worse. Bands of heavy rain and gale-force winds lash the ship as El Faro enters the main body of the storm system, an area of rainfall the size of South Carolina. In the control room, Randolph continues to worry about their predicament. If they were in the open ocean and the storm grew dangerous, they could turn tail and run, but as it is, their options are limited, with the ship hemmed in by the islands and reefs to the southwest. “We don’t have much space,” she tells her helmsman, Larry Davis. At 12:26 AM, the satcom printer, which provides the latest updates from the NWS, chatters to life and spits out a new report. Randolph tears it off and reads. Joaquin hasn’t turned, as all the forecasts predicted. In fact, it’s grown stronger, and they’re heading right into it. “I may have a solution,” Randolph says. 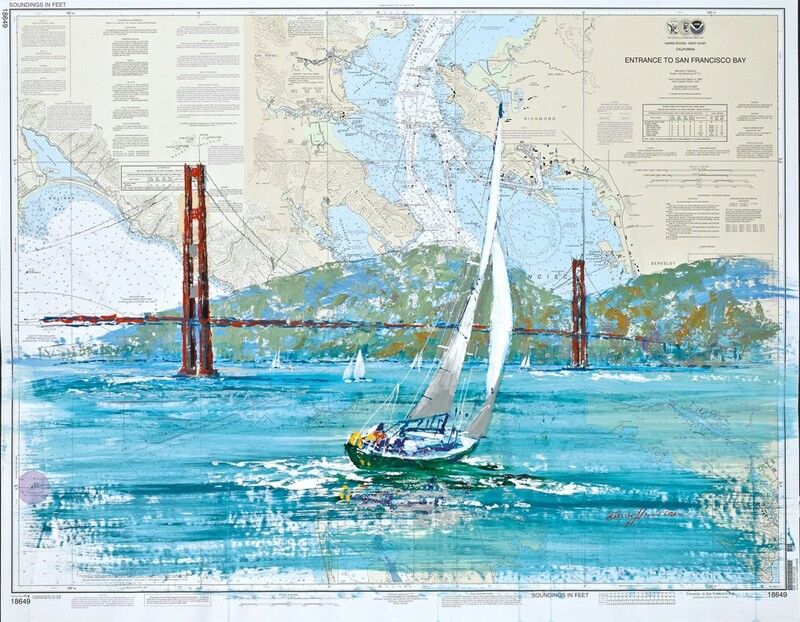 She shows the helmsman the chart. Around 2 AM, they’ll pass Rum Cay. At that point, they can turn south and head for Crooked Island Passage. They’ll avoid hurricane-force winds, and once through the passage, they’ll be sheltered from the swell by the islands. “From there we connect with the Old Bahama Channel,” Randolph says. A weather report comes on the radio: Joaquin has been upgraded to a Category 3 hurricane, with winds of more than 111 miles an hour. As if on cue, three minutes later, the ship lurches violently to the left, nearly knocking Randolph and the helmsman off their feet. “Biggest one since I’ve been up here. El Faro approaches Rum Cay. If Randolph is going to make a turn to the south, she’ll have to do it soon. “I’m going to give the captain a call,” she says. When Davidson finally picks up, it’s clear he’s been asleep. “It isn’t looking good,” Randolph tells him, then explains her idea. He tells her the worst of the storm will soon be behind them, so she should stay on course. She hangs up and turns to the helmsman. At this point, Randolph has a choice. Her captain has given her an order that she knows could have a terrible outcome. She can follow it, putting her crew mates in certain danger, or she can take matters into her own hands and turn the ship toward a hope of safety. Going rogue, though, is not an option for Danielle Randolph. To defy Davidson’s order is the kind of insubordination that would get her fired upon arrival in San Juan. The chain of command has ruled life at sea for centuries, and for good reason: A crew’s safety is dependent on discipline, with no room for dissension. A captain’s unquestioned authority is something a mariner accepts with the job. So, instead of turning south, Randolph instructs the helmsman to continue east. A particularly large wave slams into the ship. “That was a good one,” Randolph says. The ship’s engine burns oil to generate steam, which drives the turbine that turns the propeller. It’s technology that was familiar to sailors during Titanic’s era. If the boiler can’t generate enough heat, the propeller’s revolutions per minute will fall and the ship will slow. The 40-year-old El Faro had reportedly suffered loss of propulsion at sea before, and its boilers were scheduled to be repaired later that fall. A little-known quirk of the powerplant design was that if the ship listed, or leaned over, more than 15 degrees — an unlikely possibility — the lubricating oil would run to one side and the engine would stop. It’s a problem that is less likely to occur on modern ships. “Damn sure don’t want to lose the plant,” the helmsman says, referring to El Faro’s engine. That’s because a ship is designed to plunge through heavy weather bow first. But with insufficient power, wind and swell will cause it to list sideways, exposing a vulnerable flank. Soon the ship could take on and fill with water, then capsize. Over the next hour, Joaquin batters the ship with increasing intensity. Waves break over the bow, sending torrents of water surging over the deck. Explosions of spray splatter the windows of the bridge. Unseen clankings reverberate over the howling of the wind as the storm wrenches away loose fittings. A few minutes later, a massive wave hits. “That was a doozy,” Randolph says, nervously laughing. Minutes later another wave hits, and this one nearly knocks Randolph off her feet. An electronic alarm sounds, warning that the ship’s autopilot has been shoved off course by the force of waves that have grown too big for it to handle. Shultz arrives on the bridge and relieves Randolph, who goes below deck and staggers to her cabin. On the bridge, Davidson returns after an eight-hour absence. 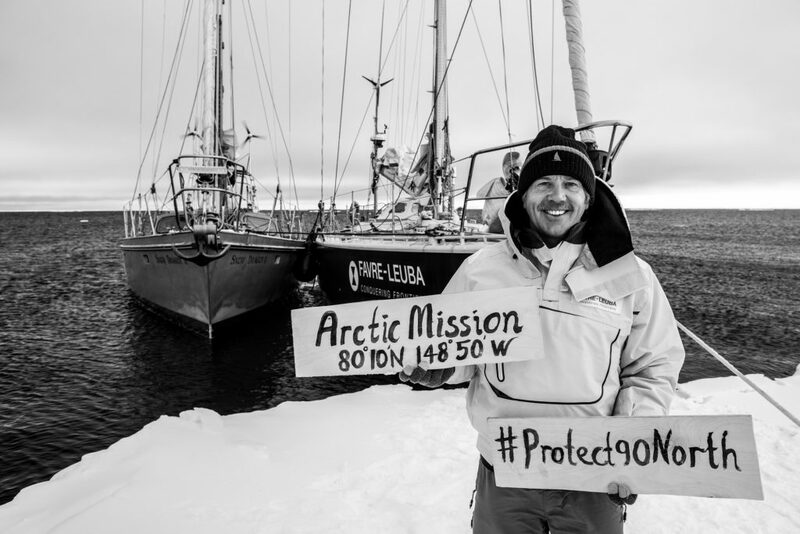 The winds raking the ship are 100-plus miles per hour, but Davidson feigns nonchalance. “There’s nothing bad about this ride,” he says. Shultz points out that the ship is listing to the right. The wind is hitting El Faro’s exposed left f lank, pushing it even further to the right side. In other words, they can pump stored water from the right side to the left side of the ship, to help steady it against the wind. If they don’t, the list will continue and the powerplant could fail. While Davidson goes to get breakfast, the chief engineer phones to tell Shultz that the engine lubricating oil is acting up. Evidently, shifting the water hasn’t worked. It’s time for plan B: Turn El Faro into the wind. Davidson rushes back to the bridge. “Going to steer right up into it,” he declares. To prevent a more drastic list, they need to point the bow directly into the hurricane-force wind. But that’s no easy feat. El Faro is now in the eye wall of a hurricane that is strengthening from Category 3 to Category 4. Thirty-foot waves, their crests whipped to foam by 115-mile-an-hour winds, hammer the ship every 10 seconds. The wind howling against the bridge sounds like a jet engine on takeoff. “We got a prrroooblem,” Davidson says. Engineering has called with more bad news. A type of hatch called a scuttle, located between cargo decks, has flown open, allowing water to flood the hull of the ship. A lot of water sloshing in an open hold makes a ship incredibly unstable and prone to capsizing. Efforts to seal the hatch fail, so Davidson orders the crew to run water pumps to remove the seawater. He tells Shultz to go check it out. The chief engineer calls in soon after. “OK,” Davidson tells him, “I’m going to turn the ship and get the wind on the starboard side. Give us a port list.” Davidson hopes that with the ship leaning in the other direction, the water will drain away and they can secure the hatch. Sensing that the ship is in trouble, Randolph returns to the bridge in her off-duty clothes. Davidson greets her with a friendly “Hi!” and tells her about the hatch. A few minutes later, Randolph notices that the engine power is falling and asks, “Did we come down on the RPM, or did they do that?” referring to the engine room. Davidson says he didn’t ask them to reduce power. A loud thump comes from outside. “There goes the lawn furniture,” says Randolph, likely seeing objects on the deck start to come untethered. “I’m not liking this list,” Davidson says. A few seconds later, the engine RPMs drop. By now the goal is no longer to get to San Juan but to simply keep the ship afloat. With each swell, El Faro lurches further onto its right side. “Should get better all the time,” Davidson says. Davidson makes a satellite phone call to Capt. John Lawrence, the head of TOTE’s emergency response team and the man responsible for coordinating rescue efforts. Instead of abandoning El Faro, Davidson tells him, “No one’s panicking. Our safest bet is to stay with the ship. “Roger.” The satellite terminal chirps: Message sent. The time is 7:13 AM. “All hell’s gonna break loose,” Davidson says. Somewhere, alarm bells are ringing and rescue teams are saddling up. “Wake everybody up!” Davidson shouts. “Wake ’em up!” He adds: “We’re going to be good. Shultz hurries back to the bridge. But he can’t determine where the water is f looding in. “All right, we’re going to ring the general alarm here and wake everybody up,” Davidson says. Davidson tells Shultz to “muster all the mates,” then calls the engine room: “Captain here. Just want to let you know I am going to ring the general alarm . We’re not going to abandon ship or anything just yet. Shultz calls in on a walkie-talkie to report that everybody has mustered on the starboard side. A minute later, Randolph lets out a yell. Ravaged by the 115-mile-an-hour wind and bashed by crashing waves, stacks of containers on the deck have started to plunge into the ocean. The ship is coming apart. A high-frequency bell tone rings in seven short pulses, followed by a long pulse. “Tell them we’re going in,” says Davidson loudly. Randolph asks if she can get her life vest. Davidson says yes and asks her to bring his and one for helmsman Hamm. “I need them, too!” Hamm yells. “OK, buddy, relax,” Davidson says. Randolph leaves, and the captain and the helmsman are alone on the bridge. The ship is taking on water fast. The morning light is strong enough now that, through the rain and spray, Davidson can see the front of the ship slip beneath the roiling surface. “Bow is down,” Davidson says. “Get into your rafts!” the captain yells. “Throw the rafts in the water. “Everybody get off!” Davidson shouts. On the bridge, Hamm has slipped on the now steeply pitched deck and is having trouble climbing up. Each time the ship lurches, the slope gets steeper. “Cap ... Cap,” he’s saying. Hamm is becoming increasingly panicked. Hamm lets out a primal scream. Hamm screams as the deck lurches ever steeper. Thousands of tons of water crash onto El Faro’s exposed left flank. Destabilized by flooding below decks, the ship eases past the critical angle. The deck rises up to vertical, then past it, and like a toppled seven-story building, it breaks apart. Containers stacked on the fore and aft decks scatter like Jenga blocks as seawater surges into the shattered hull. The crew members mustered below are unable to launch the lifeboats. 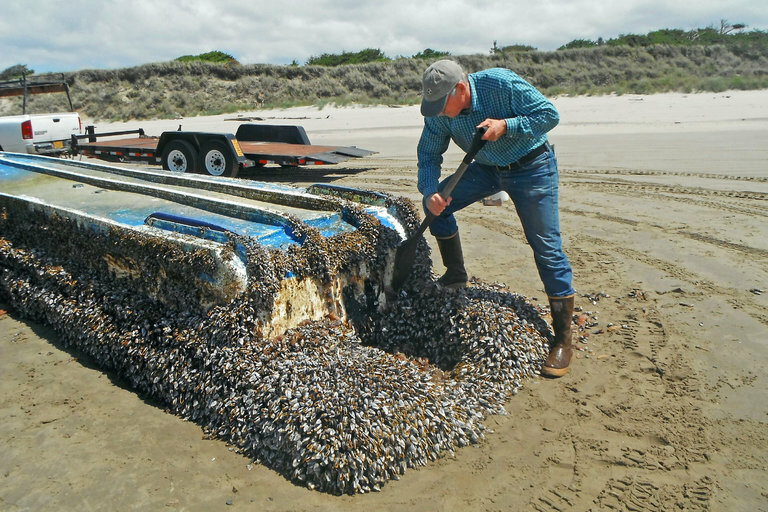 Even if they could, the open-top boats would likely capsize almost immediately. The life jackets and immersion suits are likewise useless. Simply put, trying to abandon El Faro in the teeth of a Category 4 hurricane is suicide, and the crew doubtless knew it. A hundred feet beneath the roiling waves, where the morning light fades into perpetual black, the sea is calm. Torn-off sections of the ship ride downward toward it, streaming bubbles, followed by a torrent of man-made objects: containers, cars, air conditioners. They fall three miles down, into the quiet. The Coast Guard in Portsmouth, Virginia, picks up El Faro’s emergency signal. They spend a day trying to radio the ship. Days later, once the storm has subsided, they send an HC-130 reconnaissance plane from Clearwater, Florida. When Danielle Randolph’s mother, Laurie Bobillot, opens the last email that her daughter sent her, she immediately fears the worst. The sign-off — “Give my love to everyone” — sounds like a farewell. Three days after the sinking, a Coast Guard helicopter sees a body floating in an immersion suit but is unable to retrieve it. No other remains are ever found. The immediate reaction was to question the judgment of Michael Davidson. “I don’t think he believed he was going to get into 100-knot winds, even though the data was right there in front of him,” says Seattle-based ship captain George Collazo, who has done research on the causes of maritime disasters. However, Collazo adds, in the shipping industry, a captain’s job is defined not simply by getting from point A to point B, but by how well he leads and listens to his crew. By spring 2017, all of El Faro crew’s next of kin had settled claims against TOTE for $500,000 each in pain and suffering and undisclosed amounts for financial loss. Insurers paid TOTE $36 million for the ship’s loss. 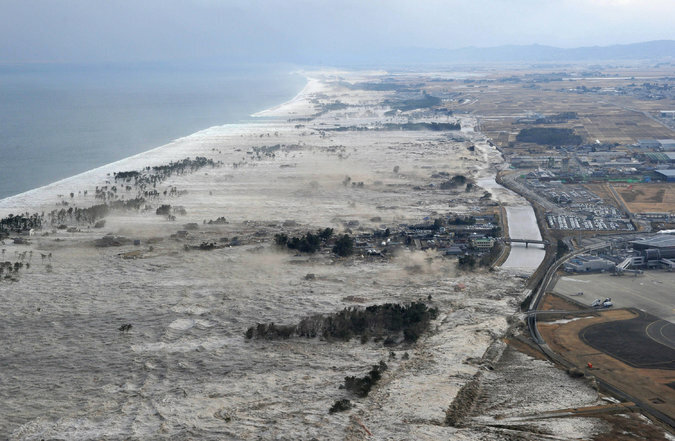 Last May, those insurers launched a lawsuit against StormGeo, the company that owns Bon Voyage System, claiming that its outdated reports were to blame for the disaster. Apart from settling accounts, anger remains. “The laws need to be changed,” says Kurt Bruer, a seaman who had worked on El Faro. “The industry is more interested in protecting the Jones Act [the law that requires that only U.S. ships sail to and from U.S. ports] than they are about safety. NTSB releases additional video documentation on last year's efforts to locate and recover the El Faro voyage data recorder. The NTSB, still working on its investigation, does not expect to issue a final report until this fall. (Both TOTE and StormGeo, citing the unfinished investigation, declined comment for this story.) Even if the NTSB proposes new regulations, there will be powerful industry resistance to any money-spending measures. Mandating closed lifeboats for older ships, for instance, would be opposed strongly by ship owners as being overly expensive, says Robert Markle, a marine safety consultant for the Coast Guard. “This whole tragedy has opened my eyes so much,” says Bobillot. She reels off a litany of safety shortcomings aboard El Faro, from a shortage of emergency locator beacons to the lack of closed lifeboats. “Had I known half of what I know now, I would have totally discouraged Danielle from shipping out,” she says.